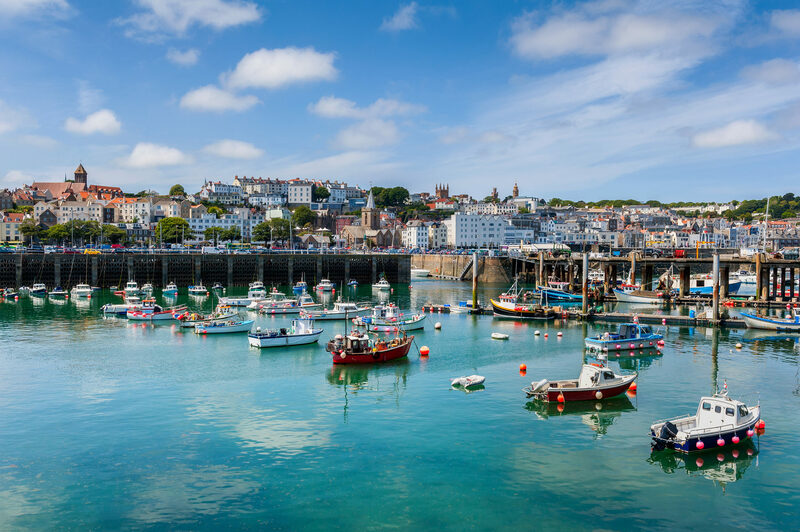 St. Peter Port is the capital of Guernsey and is one of the prettiest harbours in Europe. With its cobbled streets, picturesque seafront, mild climate and historic gardens all combined it makes for a popular destination for British and French holidaymakers. Victor Hugo the 19th century French author and poet fell in love with Guernsey spending 15 years living in his island home, Hauteville House. Today visitors can experience how he lived and see where he penned some of his most famous works. Visit Little Chapel which is possibly the smallest chapel in the world, it was built by Brother Deodat in 1914. The chapel is beautifully decorated with seashells, pebbles and colourful pieces of broken china. This 800 year old castle was built to guard the harbour, explore its five museums and gardens. Watch the living history performance and gun firing before taking in the dark dungeons. Covering 7,000 square metres these complex tunnels were hewn out of solid rock by slave workers who had been captured by German forces. The hospital was built underground so not to be seen by overhead planes.